One of Broadway's—and later, Hollywood’s—favorite stories continues with Mamma Mia! Here We Go Again, which flashes back to the early years of Donna and the Dynamos. 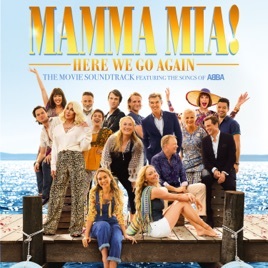 Like the first film, which wove its plotline from ABBA’s biggest hit songs, this soundtrack is a feast of the Swedes' joyful pop with even more dramatic reinterpretations of disco-era classics like “Dancing Queen,” “Waterloo,” and the moody "Fernando” sung by none other than Cher. I’m literally speechless right now at how breathtaking this amazing and beautiful soundtrack is! These new renditions of the ABBA songs we know and love are reimagined yet again!!! 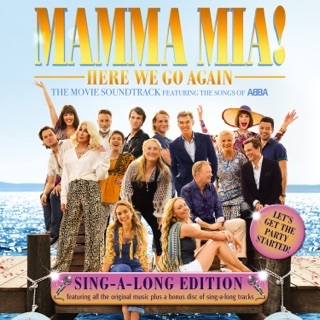 Cher is fantastic singing “Fernando” & “Super Trouper” while Lily James manages to steal the show with her glorious and magnificent set of singing chops! Lily James really shines in every song she sings! She’s literally that amazing and talented as a singer! Lily really kills it in “When I Kissed the Teacher” and belts out vocals in every song, especially “I Wonder (Departure)” & speaks her mind through song in “Andante, Andante”. Amanda Seyfried & Dominic Cooper do “One Of Us” justice in their duet singing that beloved song originally sung by the talented blonde from the group, Agnetha. This soundtrack is 5 stars amazing!!! Really stunning!! I CANNOT WAIT UNTIL NEXT FRIDAY!!!! CHER IS FANTASTIC SINGER, ACTRESS AND STAR ! Cher is fantastic and extremely talented. Cher's fans and others know her talents go above and beyond and wish would have more confidence in her singing and her acting. Looking forward for Mamma Mia 2. Maybe this could be Cher's 2nd Oscar win ? Fernando is an amazing song and i Believe that Fernando will be a # 1 song. Looking forward for the movie.